SPECIAL DEAL - Usually 99.99, today just 49.99 - Save £50! 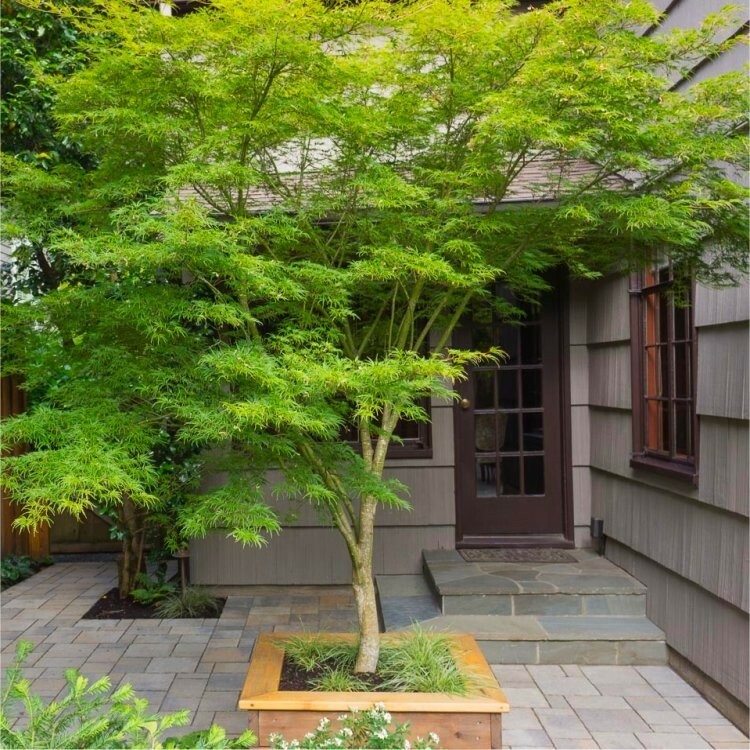 Seiryu is a fantastic form of Japanese Maple with finely cut bright foliage and an upright habit, making it the perfect choice small tree in any garden or patio planter. The lace like leaves are a striking green throughout the spring transitioning to a darker pea green shade in the summer, often with a red tint to the newer leaves. In the Autumn, the foliage turns a beautiful gold and red. Acer palmatum dissectum Seiryu is a very unusual variety, in that it is the only green dissected Japanese Maple tree with an upright growth habit, rather than the usual weeping form. Acer Seiryu has a striking vase shape which broadens slightly to a rounder form with age, eventually reaching a height of up to four metres over twenty years. It is easily maintained at a much smaller size if required. Acer palmatum Seiryu will makes a fabulous large shrub or small garden tree that offers an attractive, light canopy throughout the spring, summer and autumn. Supplied at approx 1.6-1.8 metres tall, strong specimens.